View from the penthouse at 40 Cannon Street. In 2015, Roy Budnik bought a derelict building on Poughkeepsie's Main Street, next to another building he owns. A month after buying it, Budnik was out front on a warm fall day, painting the façade. He remembers a group of high school students walking by and taking notice that someone was working, in some small way, to do something positive in their community. "Do something for us!" one of the teens shouted. "I used that as my mantra," says Budnik, who's been working to restore and reopen the historic Trolley Barn ever since. "We designed it with a lot of glass in front so kids walking by could see what's going on and feel invited to come in." 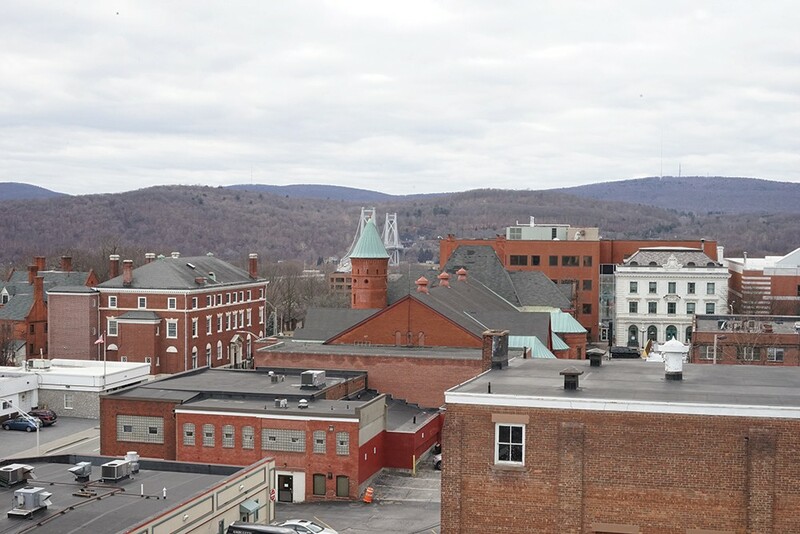 Since the announcement last March of $1 million in Restore New York Communities funding for the 11,000-square-foot space, Budnik has been very busy, building out the latest arm of the Mid-Hudson Heritage Center, a community arts and culture nonprofit firmly rooted in the Middle Main heart of downtown. 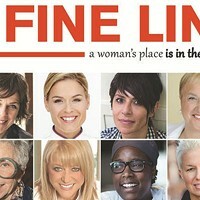 The Center, which Budnik founded in 2010, will run the Trolley Barn as one of four event spaces. Art Centro, located right next door at 485 Main, is a pottery studio with classes, studios, gallery space, and events. Glebe House, at 635 Main, is city-owned and being developed as a history center. 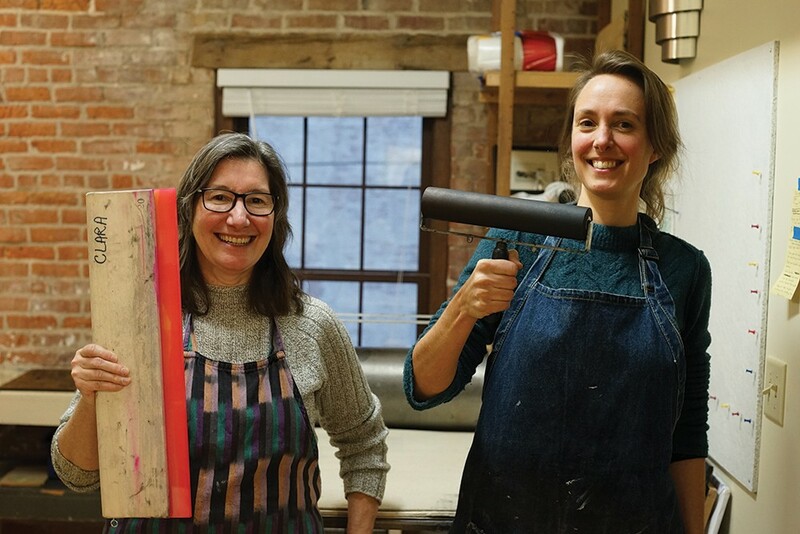 Nearby, the PUF (Poughkeepsie Underwear Factory) Studios offer printmaking facilities and classes. At 489 Main Street, the Trolley Barn is poised to take center stage as a huge multi-arts facility. "Phase I is complete," Budnik says. "The whole building is going to be the centerpiece of a dedicated arts campus." Anita Fina Kiewra, studio manager, and Emilie Houssart, studio assistant at PUF Print Studios at the Underwear Factory. Phase I included the build out of the front 3,000 square feet with bathrooms, offices, and gallery/event space, restoration of the facade, and installation of utilities. Phase II will include finishing out an apartment for use by artists and renovation of the 9,000-square-foot main trolley room and 2,000-square-foot annex. The final phase will be renovation of the basement/lower level to include a small black-box theater and additional gallery space. The arts community is at the center of the current wave or revitalization that's taking place in the Queen City. "I've been here 30 years," says Budnik. "We're seeing a big influx of artists moving from New York City and Beacon, where they're being priced out." (Underwear Factory Studio Manager Anita Fina Kierwa fondly refers to the newcomers as "Poughkipsters.") Half a dozen art galleries have opened in the last year, most recently Cryptic Gallery at 357 Main Street, which focuses on New Contemporary art. The arts community have also banded together for First Fridays, a once-monthly city-wide celebration of the arts. 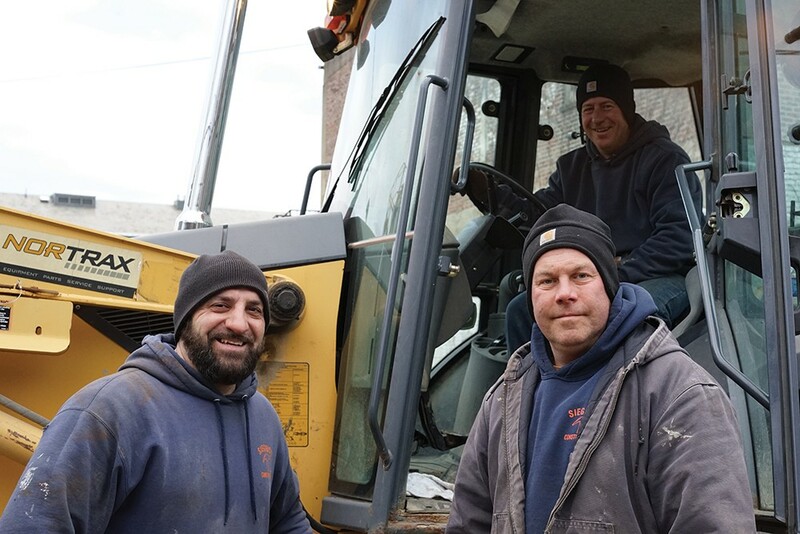 Angelo, Anthony, and Jimmy of Siegrist Construction working at the Mid-Hudson Heritage Center on Main Street. "The last 18 months have been very positive—a perfect storm of collaboration among politicians, nonprofits, and developers—but it's the artists who've really spurred this along," says Harvey Flad. "They've produced the kind of energy necessary to create a belief system that the city can revitalize itself." Flad would know, he's lived in Poughkeepsie for 40 years and wrote a book on the city, Main Street to Mainframes: Landscape and Social Change in Poughkeepsie (SUNY Press, 2010). "Places like the Trolley Barn and the Underwear Factory are important to really draw people to spend some time in Poughkeepsie," says Flad. "These are places where community can meet and do activities—that's what makes a city work." John Lekic, a restaurateur who is bullish on the city's prospects, echoes Flad's sentiment. "Restaurants are needed not because we need food and drink but because we need gathering spaces," says Lekic, who opened Farmers & Chefs in the Little Italy section of Poughkeepsie last summer. The neighborhood has seen a culinary renaissance in recent years with the opening of eateries like Essie's, Nic L Inn Bistro and Wine Bar, and Casablanca, adding to local institutions like Caffe Aurora and La Deliziosa Bakery. Last spring’s tornado may have set the waterfront city back a few months, but Newburgh’s tide of revitalization is advancing with a vengeance. Changes are coming to Newburgh in the form of a community art space. A confluence of equestrian tourism, the arts, and dedicated entrepreneurs have kept the quaint waterfront town of Saugerties on its toes.